Not much has happened this week in the news concerning finance; it seems everyone is trying to guess what's going to happen after January 20 – Trump’s Inauguration day. The financial realm is showing their political biases with news reports about what 'may or may not' happen after Trump is inaugurated; I have a wait and see approach. 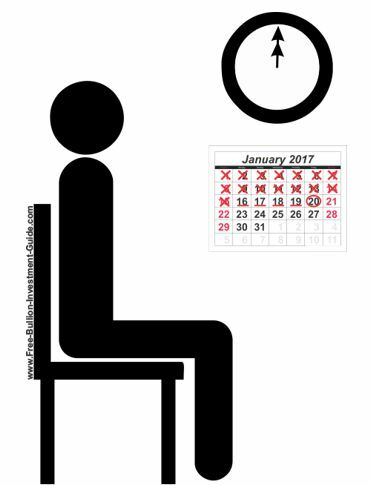 Some of the things that the President-Elect has said about the economy could provide a lot of growth, some of the other things he's said, not so much, but he isn’t President yet, so all we can do is wait. For the markets and the precious metals, the other 800lb. Gorilla sitting in the room is the Federal Reserve which has a meeting on January 26-27th. It appears the media and the markets are assuming that there will be another rate hike at this meeting. It'll be a surprise if they do, but this year will be a hard one to predict concerning the Federal Reserve and interest rates; this is mostly because the Fed, like the financial media, is paying very close attention to what Trump will do. But, unlike the media, I think it's foolish to predict what Federal Reserve 'could' do in the future, there are way too many variables; so we’ll just have to wait on time and see what happens. In this week’s charts, I’ve added Platinum and Palladium. Periodically, I will add these metals to the weekly blog post, when the metals garner attention, like this past week, see the platinum and palladium sections below to learn more. 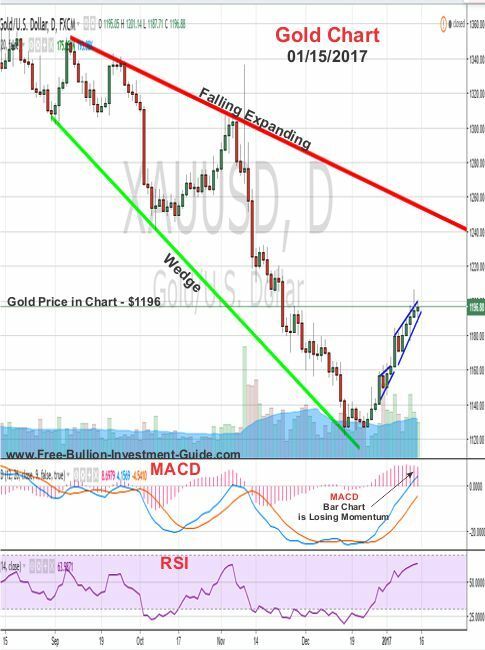 Last week, gold’s price continued to rise after consolidating at the $1180 level, then it proceeded to move up to the next resistance level of $1200. 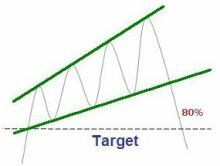 I show this in the chart below using the blue lines; they indicate rising wedges, which are bearish indicators. What happens at the end of every rising wedge is either consolidation and a move upward; like what happened last week. Or the price could change directions and move down. In addition, gold’s MACD and RSI, are signaling a pause in the upward movement is inevitable for at least a day or two. The MACD’s ‘signal’ lines are widening and its bar chart is showing a loss in momentum, this is not a good sign; plus, Gold’s RSI (relative strength indicator) is starting to crest. It's hard to say what gold will do this week because of the market's nervousness; we should see some consolidation at the $1200 level, after that, time will tell which way gold decides to go, however looming over gold’s price in the charts in the bullish expanding falling wedge. 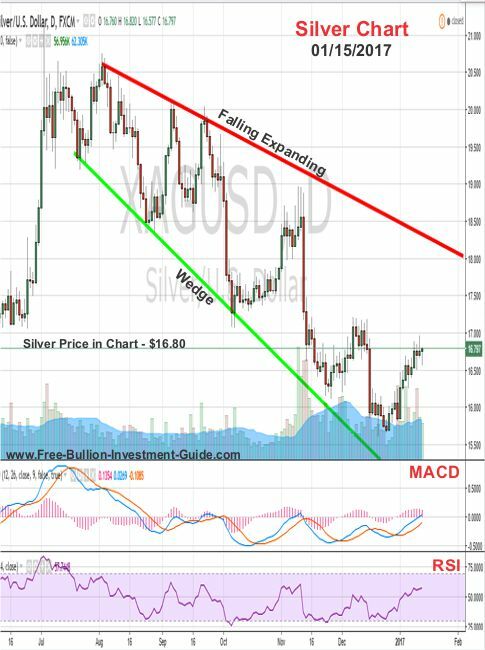 Furthermore, in the silver chart below, silver could be indicating that it is about to show gold the way to trade in the future. 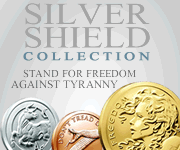 Silver’s chart looks a lot like gold’s except its topping out now, much like what is expected in gold’s chart this week. But, determining silver’s price direction this week is much harder than gold’s because it hasn’t moved much after its move up from the middle of last week. This week could be silver’s to time lead gold in its price chart movement; plus like gold, it too has a bullish expanding falling wedge looming over it, ultimately time will tell which way it will move. The patterns in U.S. Dollar chart continues to play out. Before the end of the 2016, on Dec. 19th, this guide's blog indicated a head and shoulder’s pattern was forming in the U.S. Dollar’s MACD and RSI (lower indicators). 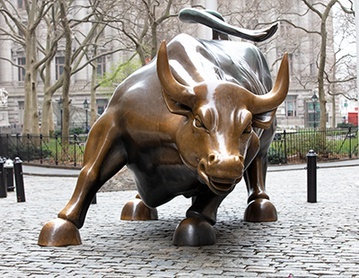 Last week, the charts confirmed that the head and shoulders pattern formed and it is continuing to play itself out. 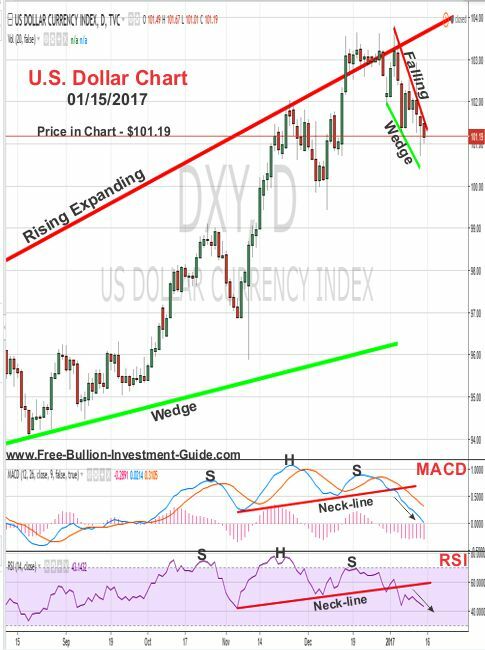 In addition, over the last few weeks, a falling wedge formed in the U.S. dollar chart, so we should see some consolidation at or around $101, however the Dollar's MACD and RSI are continuing to fall so it could fall below $101 before Inaugural day. Furthermore, the expanding rising wedge in the U.S. dollar chart continues to be a negative sign for the dollar, so more down movement is expected. For the last several weeks I’ve been keeping tabs on Platinum’s price but this weekend was the first I’ve taken a look at the chart. The chart isn't looking good, and there isn't much to say about it, but it's the news about Fiat Chrysler and the United State's E.P.A. that could have very negative effects on Platinum's price. Platinum is the primary element in 'Diesel' Catalytic Converters that removes harmful gasses from its exhaust. If the allegations are true, it is expected to hurt the sales of diesel vehicles, which will hurt the demand for platinum and its price. The same thing happened in September of 2015 when Volkswagen admitted to rigging the software on their vehicles to pass emissions tests. You can see what happened to the price of platinum (during this time) on the 'Platinum Section' on this guide's 3rd Quarter of 2015 report; here. As for Platinum's chart, its MACD and RSI look to be in oversold territory and with the recent news, it looks like a change in direction isn't too far away. 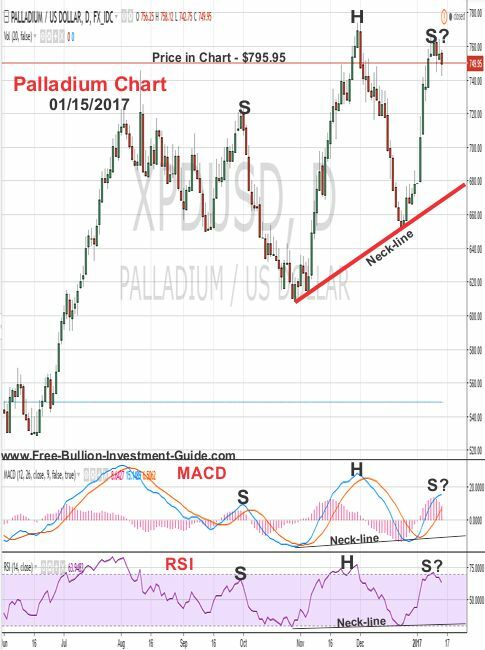 On Palladium’s chart, I see what looks like a head and shoulders top forming. I could be getting way ahead of myself with this Palladium analysis, but I wanted to bring it to the attention of those who might be interested in getting in Palladium. 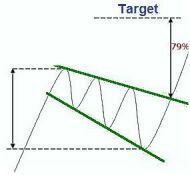 For the head and shoulders pattern to form in a chart the price will need to fall below the neckline, indicated in the chart. 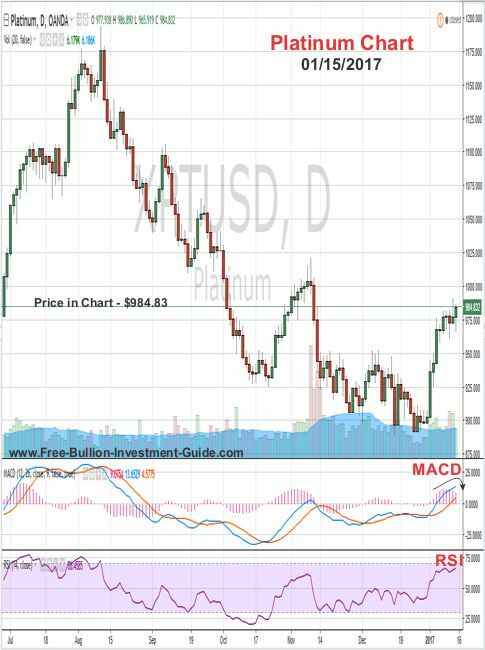 However, the news story above about Platinum could completely change the pattern (below). The reason being, Palladium is the primary metals used in catalytic converters for gasoline engines and this latest revelation about Fiat/Chrysler could help increase the sales of gasoline cars and in-turn Palladium. This week I listened to all kinds of music, so I'll leave you with one of the best I heard.